Founded in 1833, Jarvis J. Green hoped to name his small plot of land "Pontiac", after his hometown in Michigan. Rejected by the postal service, he finally decided on another Michigan town - "Saginaw". In the later half of the 1800's, Saginaw was forever changed when the railroad decided to make Saginaw the last stop on their south-bound routes to Fort Worth. Saginaw prospered as the transportation dependent industry, such as grain storage and milling facilities, moved in to be near the railroad. Saginaw remains home to the largest grain storage facility in the world! Saginaw is now one of the fastest growing communities in North Texas. 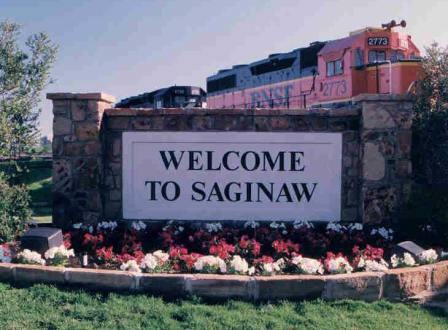 Recognized for its’ small town feel with big city amenities and its top rated public school system, Saginaw is definitely once again "the city on the right track". Our podiatrists at our four Academy Foot and Ankle Specialists offices do not simply focus on the diagnosis and treatment of your foot and ankle problems but they also provide you with sufficient knowledge on its prevention and identification. At Academy Foot and Ankle Specialists, each foot doctor makes time to explain to you everything you need to know about your foot conditions. We are open from Monday to Friday, 9 am to 5 pm.